In 1983, our community founded its very own television station, Larchmont Mamaroneck Community Television, Inc. Our mission to “create community” encourages free speech, dialogue, and creative expression. LMCTV services are available to all residents and businesses in the Villages of Larchmont and Mamaroneck, including Rye Neck, and the Town of Mamaroneck. LMCTV is an award-winning media center, recognized nationally as a model for community communications systems. LMCTV is a non-profit 501(c)(3) organization. We have a small but hard-working, creative staff of six full time employees. We’re so grateful for the myriad of volunteers and student interns who work with us to accomplish our mission. Our programs are telecast on three dedicated channels on Optimum and Verizon Fios and can also be streamed LIVE! on the web at lmctv.org. LMCTV brings you important local news, municipal and school board meetings, varsity sports, along with a variety of programs created by your neighbors. Among our programs are: the award-winning “The Local Live” weekly news show, “LMCTV Varsity Sports,” “Meet the Candidates,” and “Election Night.” We broadcast live from local block parties and street fairs, the Sound Shore St. Patrick’s Day Parade and the annual Fireman’s Parade. Optimum (channels 75, 76, 77) and Verizon Fios (channels 34, 35, 36). You can also watch online at lmctv.org . Our programming is also available on LMCTV’s Facebook page , YouTube channel , Twitter feed , and Instagram account. In addition, we host a large library of on-demand videos on our website. We are not a municipal agency and do not receive taxpayer dollars. A major funding source comes from local cable subscribers of both Optimum and Verizon Fios. But your membership donations allow us to do so much more! 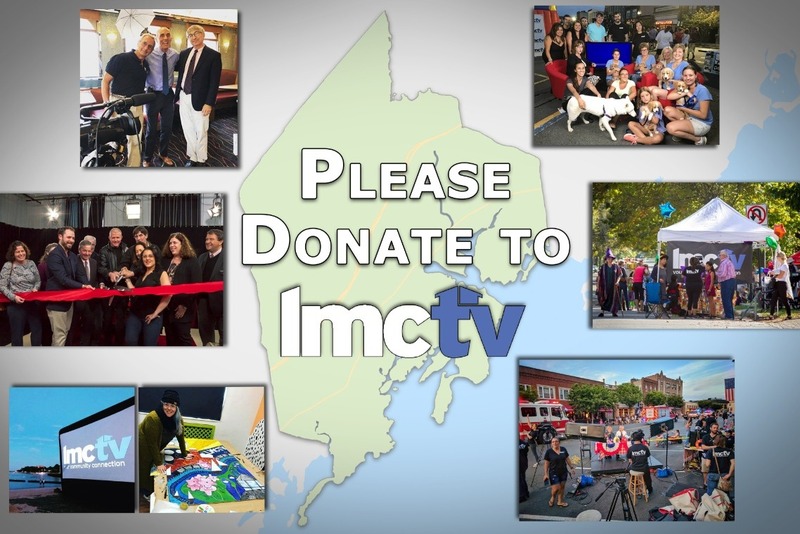 Member donations help LMCTV maintain programs and offer new services like social media posts, weekend studio time, and state of the art broadcast gear. Donations also allow for several upcoming projects, including a mobile broadcast van and monitors throughout the tri-municipal community, broadcasting live streams of important news and events in the community. Local businesses can become programming underwriters — a unique opportunity to reach 85% of the households in Larchmont, Mamaroneck & Rye Neck. We create short acknowledgement videos that play for one year in between programs. Visit our Underwriting page or email Matt Sullivan, msullivan@lmctv.org to learn more! At LMCTV, we don’t just watch media, we make it. Please help us further our mission to build community through media.